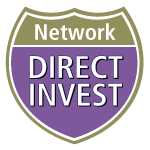 Members of the FOX Direct Investing Network and the Strategic CIO Network (SCION) are invited to learn how industry leaders and family CIOs are meeting the challenges and finding opportunities in today’s investment environment. This meeting of CIO, CEOs and wealth owners with investment leadership responsibilities is an opportunity to network on key investment interests, including investment strategy and potential co-investment opportunities on direct deals. The FOX team will moderate small group peer exchanges and facilitate introductions among like-minded families. Reception to follow. If you are not yet a member of the one of these Networks but would like to join, please contact your FOX Relationship Manager. (1) Investors are in the process of coming out of the 2008-9 financial crisis and the subsequent bull market and it is likely that there will be fewer opportunities for easy returns. How can investors effectively address this lower return challenge? (2) New paradigms for product design and increasing emphasis on risk management will be part of the investment landscape in the future. How will new products and considerations around risk impact provider and investor behavior? KDP is the family office of Kevin Plank, Founder and CEO or Under Armour. Demian and Tom will share the incredible vision of this young entrepreneur, creating a huge impact on his origins and the recognition that doing good for Baltimore and bringing innovation to Maryland will be good for the operating company as well as create long term investment return. The mixed use project underway includes the socially responsible repurposing of an extremely blighted area of Baltimore where KDP plans to attract and incubate new companies, add retail, restaurants, hotels, housing, and build the new UA headquarters. Tom Geddes is the Managing Partner of Plank Industries, a privately-held company with diversified holdings in commercial real estate, hospitality, food and beverage and thoroughbred horseracing, all under the Sagamore group of brands. The company is based in Baltimore, MD, USA and serves as the family investment arm of Kevin A. Plank, founder, Chairman and CEO of Under Armour, Inc. (NYSE:UA). Tom has enjoyed a varied career in management and finance, including work in wealth management and the nonprofit and foundation sector. In his current role he also oversees Mr. Plank’s private family foundation, which focuses on entrepreneurship, access to sport for underserved communities, and public education. Tom was a Morehead Scholar at the University of North Carolina, Chapel Hill, and went on to earn graduate degrees at the University of Cambridge, England, and Johns Hopkins University. His outside interests and board memberships focus on healthcare and education. and as Senior Consultant and head of alternative manager research at CTC Consulting, an investment consulting firm. Jonny received an MBA and law degree from the University of Chicago and a BS in Commerce from the University of Virginia. Donald Putnam is founder and managing director of Grail Partners LLC. Prior to founding Grail in 2005, he led Putnam Lovell Securities, which he founded in 1987. At Putnam Lovell, he served as CEO, chairman of the board and managing director in the firm's investment banking group. Putnam Lovell was sold to National Bank Financial in 2002, and Mr. Putnam stayed on as CEO and vice chairman of Putnam Lovell NBF until 2005. Earlier, Mr. Putnam held senior positions at SEI Investments. He was an executive vice president and division president of SEI, founder and president of SEI Financial Services Company, and founder and president of its various mutual funds. Mr. Putnam also has worked at Catallactics Corporation and Bankers Trust Company. David joined Albourne from Core Capital Management in Chicago, an investment management firm specializing in alternative investment services and finance research. In his role there as a Hedge Fund Associate Analyst, David conducted due diligence on prospective and recently initiated hedge fund investments, drafted detailed investment due diligence reports, helped maintain an in-house proprietary research database, and pitched investment recommendations for portfolio inclusion. Prior to Core, David was at Cantor Fitzgerald, where he worked briefly in Debt Capital Markets. Prior to this, David was with HVB Group, New York, the second largest private commercial German bank, where he worked in Credit Portfolio management, establishing a risk management infrastructure to measure credit risk and loan loss reserve balances. David has an MBA from the University of Chicago, Booth School of Business and an AB from Dartmouth College, Hanover, New Hampshire. Charles B. Grace, III is Managing Director at FOX. Charlie works on strategic planning projects for families and family offices as well as wealth management advisor clients. He has more than 20 years experience in the family office community advising high-net-worth families and has been quoted in various publications on the subject of private wealth management, including The Wall Street Journal, Financial Times, and Worth Magazine. In addition to his responsibilities at FOX, Charlie has been active on the Board of the single family office Ashbridge, LLC since 1992 and in 2010 was named President. He is a Trustee and member of the Investment Committee of the non-profit Tuttle Fund, Inc. in New York City. Linda leads the education and community building endeavors among CIOs, CEOs and wealth owners focused on investments. She oversees the FOX Networks team that has created robust peer exchanges addressing issues and challenges faced by members. Previously she was CFO of a large Midwestern family office, creating groundbreaking tools for back office and reporting during its start-up phase. She served on the direct investment screening committee, working closely with the portfolio’s management teams and outside family co-investors. Linda was cofounder of Shepro Braun Systems whose flagship product, Total Return, provided comprehensive back office solutions for family offices and hedge funds. Call 1-888-566-3692 for reservations. Mention Family Office Exchange to receive this great rate! Non-members, please register to purchase.